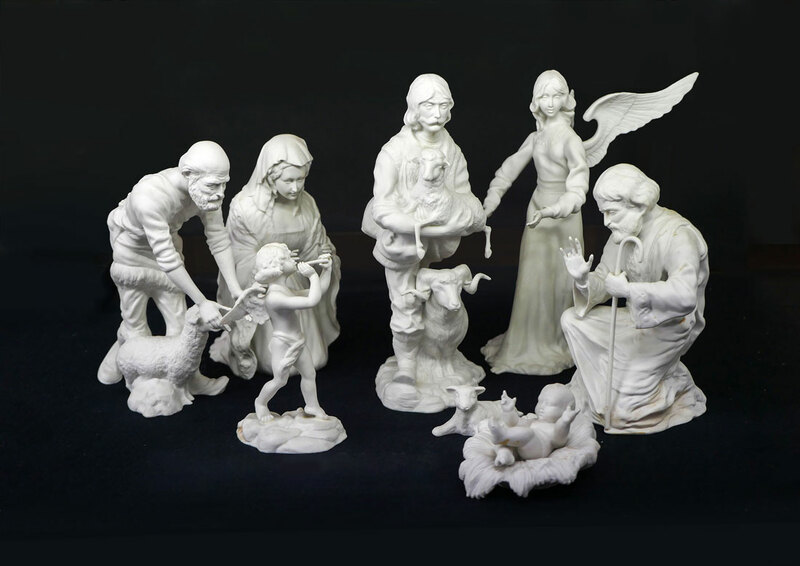 8 PIECE BOEHM PORCELAIN NATIVITY SET: 8 pieces total to include Joseph, Mary, Baby Jesus, Angel and more. Tallest figure measures 11 1/2'' h.
CONDITION: Trumpeter missing end of trumpet, Joseph missing finger, repair to angel wing. No boxes.